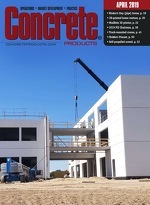 Concrete and masonry contractor-driven Construction Supply Group has expanded its Southwest and Upper Midwest presence, closing deals for Dallas-based All-Tex Supply Inc., with two Oklahoma and three Texas branches; Northville, Mich.-based Masonpro Inc., with one Ohio, two Indiana and six Michigan locations; and, Titan Construction Supply in Reno, Nev. They join 10 other businesses acquired since the late-2016 launch of CSG, now positioned as the second largest distributor of its kind in North America. The company has nearly 100 branches, payroll exceeding 1,350, and more than 60,000 stockkeeping units for 50,000-plus customers. "We have been fortunate to bring together some of the best talent in the industry over the past two years, resulting in a stronger platform that can benefit from leveraging each other's talents," says Brian Henry, a partner at Sterling Group, a Houston private equity firm that has teamed with the management of acquired businesses to develop CSG as a coast-to-coast source of tools, equipment, materials and products for concrete and masonry professionals.